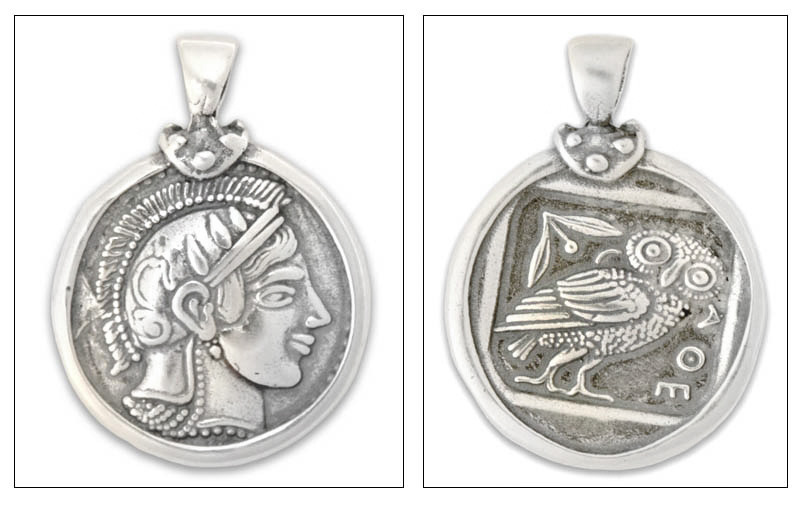 Handmade sterling silver pendant, inspired by an ancient Greek tetradrachm, depicting Athena and her symbol, the wise little Owl. 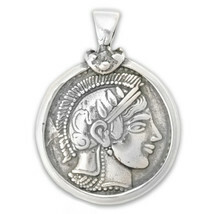 OBV: Goddess Athena wearing crested helmet. Her head is decorated with olive tree leaves and scroll. REV: The Owl, Athena's symbol, standing right with head facing, olive spray and crescent behind, all within incuse. Inscriptions reads : "ATHE" in Greek fonts, meaning "of Athens". The pendant is crafted in 925 sterling silver. 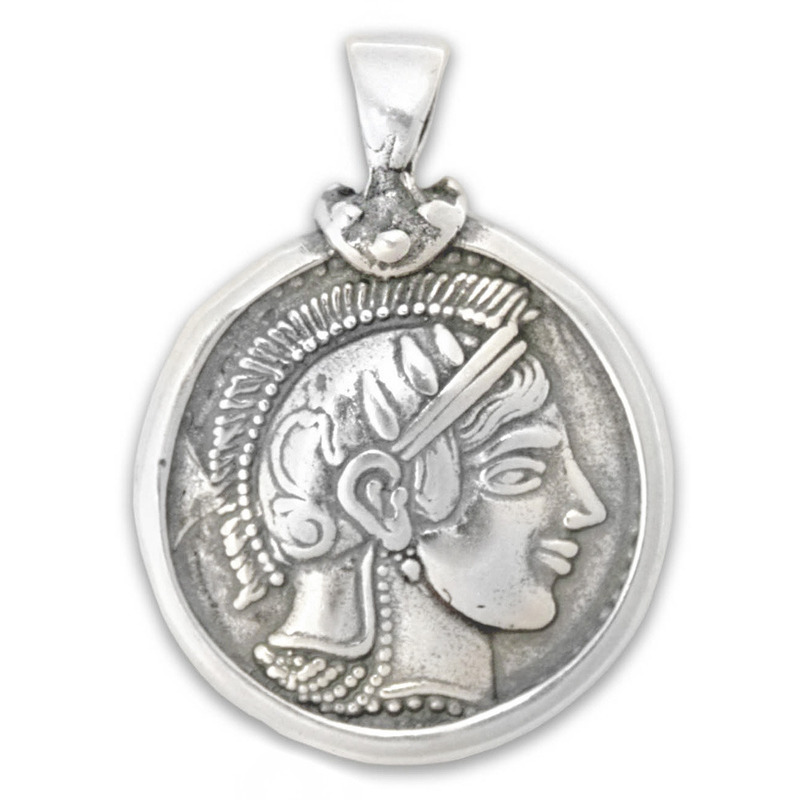 Dimensions Diameter : 24 mm 0.94" (hanger not included in the measurement) Material 925 Sterling Silver Reference 95.00.25 Goddess Athena Owl - Athenian Silver Tetradrachm - Short History of the Original Coin A very famous coin, the Athenian Silver tetradrachm, with Athena, the patron Goddess of the city of Athens on the obverse, and the owl on the reverse side. Minted in various versions, according to the year minted, the Athenian tetradrachm was a very popular and diachronic coin. Its production started at about 510 BC, and it introduced the "Attic" standard of 4,3 gr as the new standard in coins' weight. The Lavrion mines with their plenty supply of silver and the increasing dominance of the city of Athens in trade, made this new weight standard a famous standard. Tetradrachms with the same weight continued to be the most widely used coins through the Hellenistic period and afterward by the Hellenistic monarchs.